Sgt. 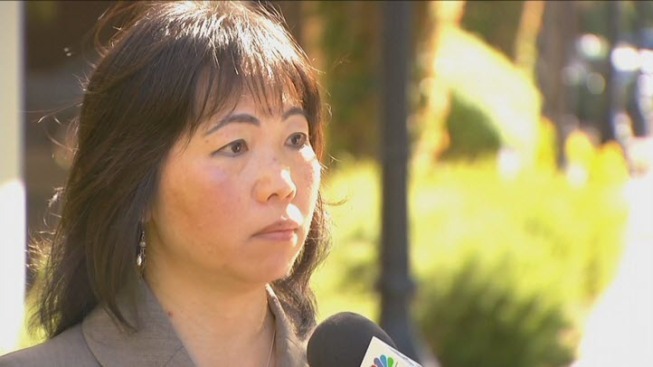 Amy Le has emerged as a major player who could ease the ongoing tension over the embattled county jail. The public fight between the Santa Clara County Sheriff's office and the jail officers' union is a long running, bitter political battle, with clashes over how the jail and the sheriff's office are run. Now big changes are looming. On Wednesday, new union leaders will take over, including a president who says years of fighting have been bad for officer morale and taxpayers. The sheriff and 750-member correctional officers' union have had serious public fights for years. Now, the incoming union president says a new approach is needed for the public's good. The 48-year-old Le ran to be the new correctional peace officers union president, pushing for a more positive, productive relationship with the sheriff's office. Starting June 1, Le becomes the union's first woman president after a landslide victory that seems to indicate guards are weary of political fights. "It's not a time to point fingers about 'who messed up' or 'who did something wrong.' There's a lot of reports that came out on the jail and of course some are not that great. We know what the problem is. So let's focus on the problem and work for a solution," Le said. Many issues will keep the jail in the spotlight, including the murder trial of three jail guards accused of attacking inmate Michael Tyree. In addition, two officers who self surrendered last week for allegedly beating inmate Ruben Garcia. "Even though the publicity is not great for us, we hold our heads up high when we go to work and we do a good job every single day," Le said. In a statement, Sheriff Laurie Smith said she looks forward to a new relationship. County Supervisor Dave Cortese, who appointed the Blue Ribbon Jail Commission, said change was overdue. "Sometimes tension is OK, but sometimes it's over the top. Sometimes it's an obstacle to getting things done. And I think there's a lot of hope around here right now that with this kind of 'sea change' that's happening with the new leadership," Cortese said. "It'll open the door a little bit for a much better relationship." Le said she also plans to repair relations with the Board of Supervisors, but adds it is not going to stop her from asking for more jail staffing and longer paid work hours.